Fernando Hierro says Spain face a tough challenge to reach the World Cup knockout stage following a "lucky" 1-0 win against Iran that lifted the 2010 champions to the top of their group. 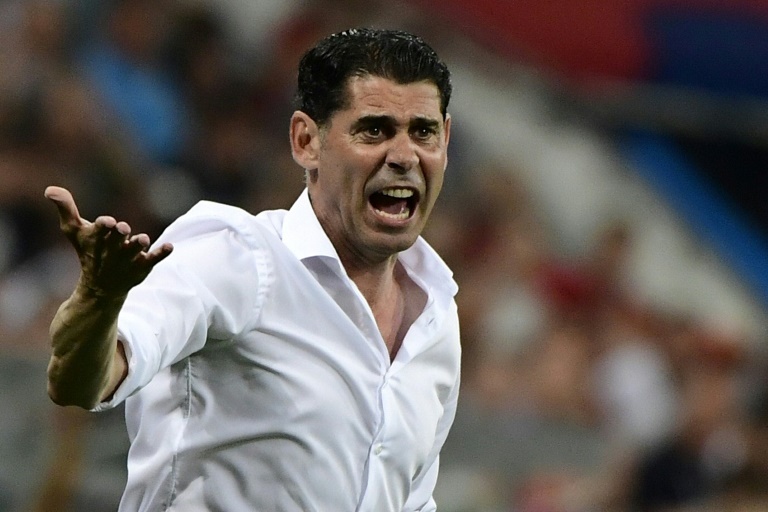 After an intense encounter in which Iran frustrated Hierro's team of superstars for long periods, Costa admitted he got "lucky" when his strike rebounded off defender Ramin Rezaeian and into the Iranian net. "This is the World Cup, and not one single game is going to be easy," Hierro said. "We can improve, and I hope we will keep winning while we do so, but nobody is giving anything away easily." "We are in a very even group, where everything is equal, as they are in the other groups," he added. "In certain groups teams have already qualified (for the last 16) but our group is very tough. We have no option but to secure all three points against Morocco." Spain's bid for a second World Cup title eight years after their first, began in the worst-possible fashion, with coach Julen Lopetegui sacked on the eve of the tournament after Real Madrid announced he would be joining the club in July. Carlos Queiroz's Iran also endured difficulties in the run-up to the World Cup. Both Greece and Kosovo cancelled scheduled friendlies and sportswear giant Nike refused to supply the players' boots due to US sanctions. Queiroz, however, insisted their "dream" of securing a historic first qualification to the second round remains intact. "Coming into this tournament, people gave us no chance but we still have chances to qualify for the second round. We'll fight for our dreams," he said. "We lost top spot in the group but the reality is this: our dream is not over. Against Portugal, it will be match point for us."